Nestled in the heart of Niagara Falls, bordering most attractions, Days Inn - Niagara Falls, Near the Falls is just a short walk to the Falls, Fallsview Casino, Casino Niagara, Clifton Hill, the Maid of the Mist, and is adjacent to many restaurants and shopping areas. 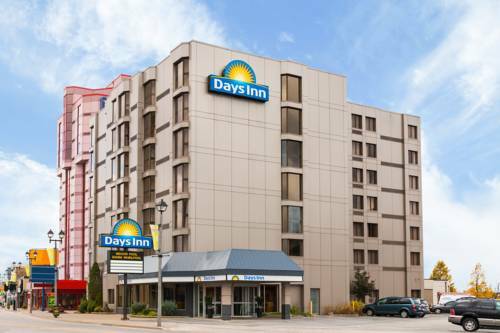 With easy access to all major highways and only a short drive to Niagara-on-the-Lake, the Butterfly Conservatory and the Welland Canal, Days Inn - Niagara Falls, Near the Falls is the place where you want to be. This hotel features an indoor heated pool, sauna, whirlpool, gift shop. Free Daybreak Cafe Continental Breakfast , Free High-Speed Internet Access and 24-hour Front Desk Service. Parking is available for a per night fee plus tax. We look forward to making your stay a most enjoyable one. Our staff is proud to give first class service and attention to all our traveling guests needs. ~11 miles from Niagara Falls. ~53 miles from Niagara Falls.